Drying is the final step of wet finishing processes. Our VBTD-DRV dryers working with drying media like corn cob or similar products guarantee a perfect drying without stains. The drying media remove both calcium and magnesium salts enabling to get both dry and spotless surfaces. 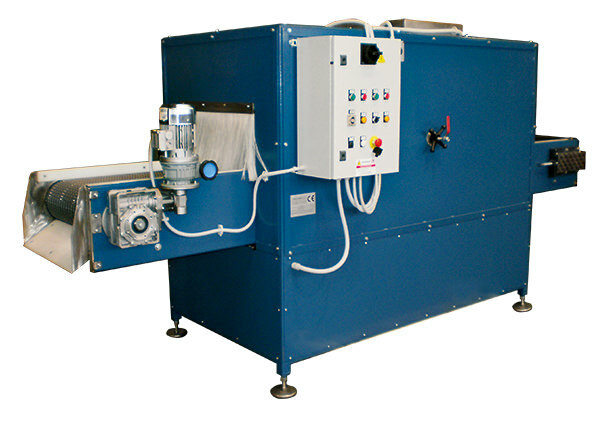 Belt dryers are designed to offer a wide range of technical solutions after mass finishing processes. 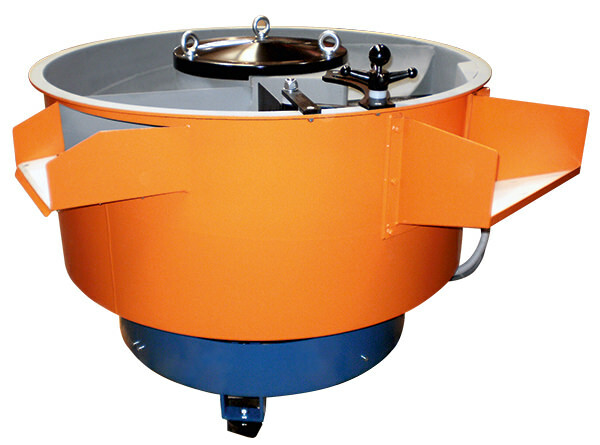 AST-RS: this machine is designed for a continuous flow rinsing, blowing and drying of pieces coming from deburring or ball burnishing processes. The heating system can be either electrical or gas heating. AST-E: this machine is for drying only. The heating system is electric.